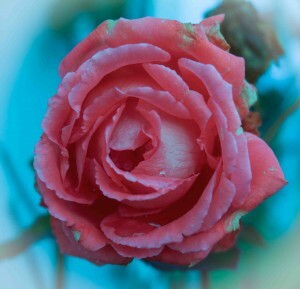 A New Year’s Day Rose! Can you believe it? A great sign that it is going to be a beautiful year! Yes, time to say goodbye to 2012, but never too late to look back over the year and think about what we were able to accomplish – what worked – (and what didn’t). Here are 12 of the most important achievements and lessons in 2012 (in more-or-less chronological order). 1. Lots of Photos. What a great reference! Many of the year’s highlights were featured in our calendar for 2013. (Sorry, long sold out by now, but if you take the above link, and see something you love, contact me and we can make it happen.) Now, already years later, I can remember what was available for the bees, plan on how to fill gaps, or recall how I was busy harvesting 1000 bulbs of garlic at the same time the black mustard was bursting from its pods…(ahm. Note to self: Try to avoid that, if possible). 3. Rewards of Good Pruning. I used to think of pruning as such a chore. Now I look at it as an art form and a very fun part of gardening. I am looking forward to shaping the willow room into a small cathedral. 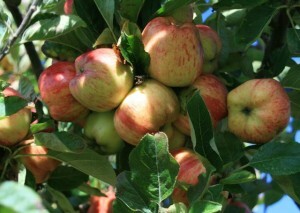 I admit, I whacked the heck out of our orchard in 2011. I exercised a gentler touch in 2012. My pruning efforts have paid off. The trees were stronger and much easier to work around. Of course, I give total credit to the bees for such a bountiful harvest, along with the timing of good weather at bloom time, which is not something we can always depend on. 5. Subscribing to a CSA/Farm Share Program (and letting go of the notion that I needed to grow all our own food, and all the work that entails). Not getting any younger here, folks, and I realized the time has come to admit I can’t do it all. There. I said it. What I also realized was that by NOT trying to grow all our own veggies, I had more time for other things – like tending the garlic and berries and growing unusual plants and flowers for the birds and bees. Which meant, of course, I was still doing the same amount of work, only shifted. But I also recognized that our nearby farm, Nash’s, has it down. 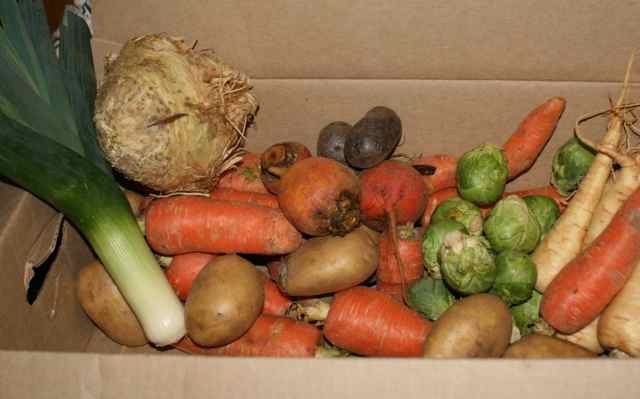 They make compost in a very big way; their soil is rich, and, consequently, their produce is packed full of nutrients. They have the crew to stay on top of the weeding, watering, and harvesting. Their cauliflower is gorgeous; their carrots long and straight; and the sheer variety a fun challenge every week. By supporting a local farm, we were also supporting a bunch of local farmhands and other staff that make it possible. Truly, a win-win. The cons: Yes, there was a lot of overlap. I already had lots of volunteer fava beans, pak choi, kale, lettuce, beets, parsley, and other veggies. But that just meant I also had more to share. Signing up for a CSA really keeps you focused on eating lots of veggies, so if you’re looking for resolutions, this is a good place to start! 6. Native Plants. This was our second year of taking advantage of a Conservation District native plant sale in early spring. I also took a class (highly recommended!) on landscaping with natives. The wildlife corridor along the outer edge is really starting to take shape. Doug Firs and cedars from the previous year are gaining ground. In 2012, we added a shrub layer that included mock orange (Philadelphus lewisii), red flowering currants (Ribes sanguineum), serviceberries (Amelanchier alnifolia), and Oregon grape (Mahonia aquifolium). We also added some wild roses, Solomon’s seal, ferns, salal, elderberries, native huckleberries, and assorted groundcovers. 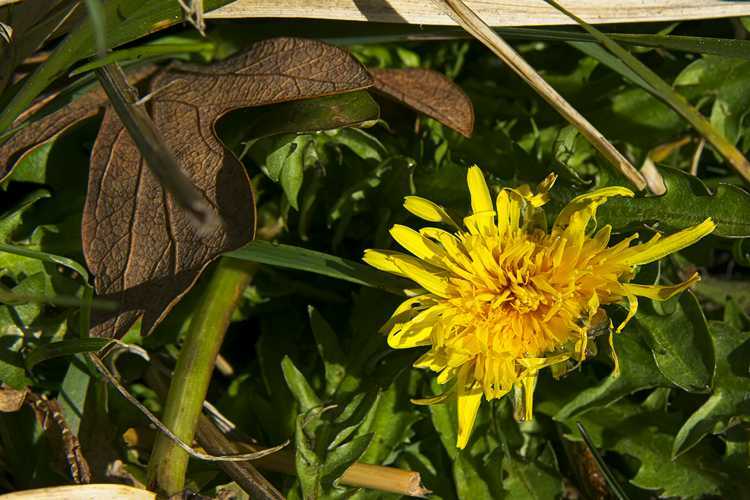 The negative was that the plantings are too spread out to make a continuous garden, which means field grass still grows between the plants, which needs to be cut, whacked, mowed, or covered. I chose the last option as much as possible (cardboard, woodchips, lawn clippings, etc. ), followed by groundcovers. Also, the new plants required a lot of watering to get them established, but should eventually be self-sustaining. 7. Scythe Power! 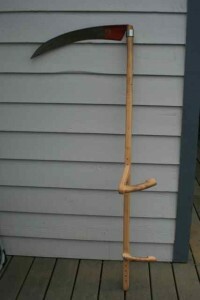 To ease the task of mowing in circles around plants, I purchased a scythe and took a class on how to sharpen and use it (Thank you, Alexander Vido, for sharing your expertise!). I love the quiet way it swishes through the tall grass and neatly piles it in a row, which I can later collect and use as mulch. It deftly and gently maneuvers around the circle of newly planted shrubs. I love the fact that it doesn’t use oil or gas, but only my own power, which is empowering, indeed. 8. 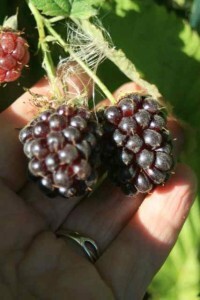 Permaculture Plants, Guilds, and the Beginning of the Food Forest. 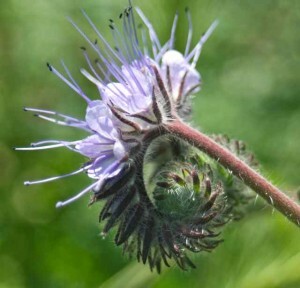 In addition to the wildlife corridor, we planted many new plants for multiple purposes: fruits, nuts, berries, drought-tolerant windbreaks, fiber and medicinal plants, and of course, plants for the bees, which were the inspiration for much of the 2012 garden. 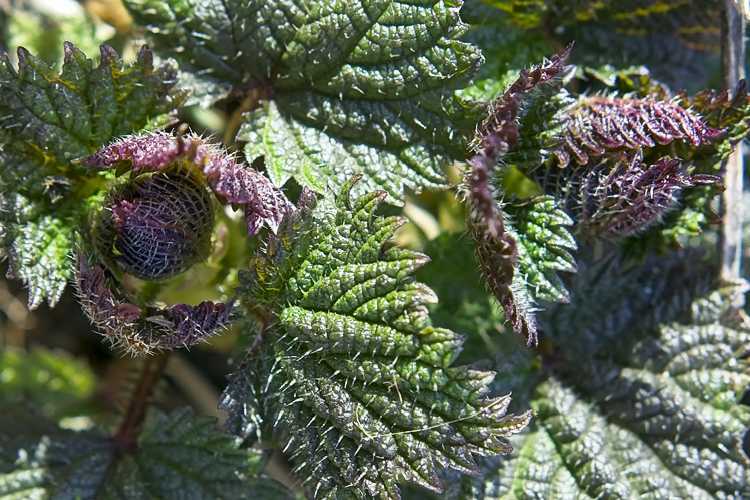 Many of the species were recommended in Edible Forest Gardens Vol. II, by Jacke & Toensmeier, Creating a Forest Garden by Martin Crawford, and Gaia’s Garden by Toby Hemenway: beach plums, Nanking cherries, Cornelian cherries, Eleagnus species, a quince, a medlar tree, assorted willows for basketry and structures, hazelnuts, strawberry trees, paw paw trees, and a variety of roots: Jerusalem artichokes, yacon, mashua, and oca, to name a few. I also went a little nuts in the berry department, because who doesn’t love berries? American highbush cranberries, buffalo berries, sea berries, aronia berries, honeyberries, lingonberries, goji and goumi berries, assorted currants, gooseberries, jostaberries, blackberries, marionberries, loganberries, blueberries, raspberries …. Gosh, I love berries. And they grow so well here. In fact, they grew so well, they created their own microclimates, much to the demise of some of the garlic. Oops. It has been fun learning about how to combine plants into guilds, and I will be sure to report how they do in blogposts to come. I expect they will really come into their own in 2013. 9. Polyculture and the Habitat of Chaos. In 2011, I let go of the compulsion to plant everything in monoculture boxes and rows, although by default, a certain amount of structure is inherent to the overall garden layout. 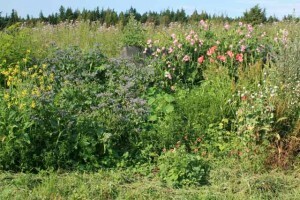 In 2012, I carried the polyculture concept to a larger scale and with a focus on 1) identifying “rooms” based on soil, light, and water requirements, 2) building guilds of plants that support and strengthen one another (kind of like enhanced companion planting), 3) planting for the bees, and 4) encouraging birds to hang out. Since I couldn’t have chickens, this made sense – a “build it and they will come” philosophy where they would be welcome to roost, scratch, poop, eat bugs, and raise their young. The result? To the outside observer, total chaos – nothing remotely close to the neatly weeded rows that used to decorate our landscape (ha! Such was the fantasy!). Every day was like some kind of discovery quest. It was my messiest garden ever and also the most fun. The sheer biomass was absolutely incredible. And in the early morning, the entire place was alive. Birds were everywhere. Chirping, chittering, scuttering, flushing. A couple of families of quail were often between rows of blackberries, which made me particularly happy. The swallows returned to the barn rafters after being gone the last two years. No, I might not be on the garden tour circuit, but the sheer diversity in a relatively small space made this garden a place to sit back in amazement! I need more benches! Which brings me to…. 10. Three-D Features and More Secret Gardens within Gardens. At one point, I proclaimed my garden as a boring slave labor camp – and from that point on, I was on a quest to transform it not only into a sanctuary for wildlife, but also into a place to find inspiration through all 5 senses. I added pathways, benches, and stepping stones. In 2011, I went 3-D with digging a little pond, and in 2012, it was particularly beautiful and fun when our grandchildren added goldfish to the ecosystem. In addition, we went upward with added arbors, ladders, and supports. 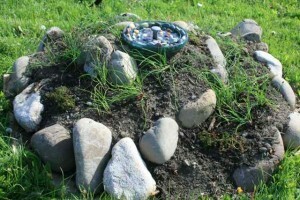 We piled rocks to make places for snakes to hide, added a few artistic sculptures and collectables, and built 4 spirals, which I planted mostly with herbs, including one with a watering dish for the bees. It will be fun to add more surprises in the coming year. 11. Garlic Patch – a Mixture of Challenges and Successes! As for the garlic, it started out well in the spring, despite heavy rains and cool temps that never really warmed up until almost August. Then the season seemed to remember that it was summer, and it heated up in a big way. Ah, the perfect storm for rust, which fortunately by that time, had little effect on bulb size. However, there were greater than normal losses due to soggy soil conditions, and the garlic took too long to cure without the summer breezes we normally get, the end result being, again, a certain amount of mold during curing. Even so, we managed to get some of the biggest bulbs ever and many survived in great shape, for which we are thankful. Lessons learned: don’t be afraid to harvest the garlic a little early, despite the rain, and cure it in a place with good ventilation, even if you have to plug in a fan! Also, pay attention to microclimates! 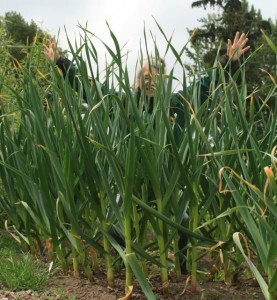 Tall plants growing near the garlic crop can seriously restrict air flow, as can weeds! Even so, take a look at these German Extra Hardy bulbs – picture taken on Memorial Day. 12. Bumper Harvest! When is fall not the most hectic time of year? All that produce to harvest – bumper crops of veggies, berries, cherries, plums, and apples (note: do a better job of thinning! 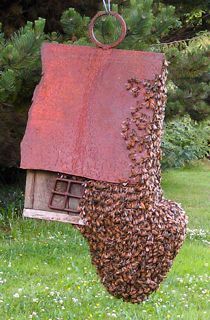 Those bees obviously worked overtime!) 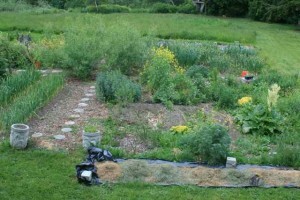 – time to put food away for winter as well as market the garlic and get a new crop in the ground – time to prepare for that darkest time of year when at least some of the garden rests, but the weeds, alas, do not (I no longer think of them as weeds; they are simply future mulch material – much less frustrating!) Time to get ready for winter, make gifts, do lots of cooking, and gather with family and friends for the holidays….is there a way to make this time of year less crazy? I don’t think so – but maybe that’s the way it’s supposed to be! And the next thing we know, the cycle begins anew as we continue on our spiral. Thank you, dear friends, for all your support this past year. I wish you all the best and am looking forward to meeting with you again, either physically or virtually, in 2013. Thank you for hanging in here with me and following my rambles in the brambles. It’s going to be such a great year! May yours be full of roses (and, of course, garlic)! Hi beautiful lady,,, really loved this update,, such interesting reading. I really enjoy the vicarious aspect of gardening through you now since I am trapped inside this body which is trapped in the house all the time now. Wondered how the bees had been doing,, will be looking forward to that tale of fun and woe LOL. Harvey! You are just So Sweet! Thank you for all your kind words – and I hope with your new calendar, you will be able to enjoy the garden all year! You continue to inspire me – growing kale in a 5-gal bucket! GREAT idea! 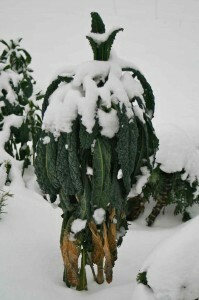 It just goes to show that anyone – even with physical challenges as yourself – can grow some of their own food, and if I were to pick one powerhouse nutritional vegetable, I think Kale would be King! Yes, the bees are making it outside when the sun shines on the hive and the winds calm down; otherwise, they are hunkering down like the rest of us. Hope you, too, are finding a ray of sunshine to sit in and enjoy … we are a bit like cats in that respect, don’t you think? Much love your way, too!